Neighborhood Housing Services of New York City was dissatisfied with the lack of a coherent marketing communications kit outlining all of their programs and outreach their organization provide. They needed a compelling solution for stakeholders and for the general public at large. 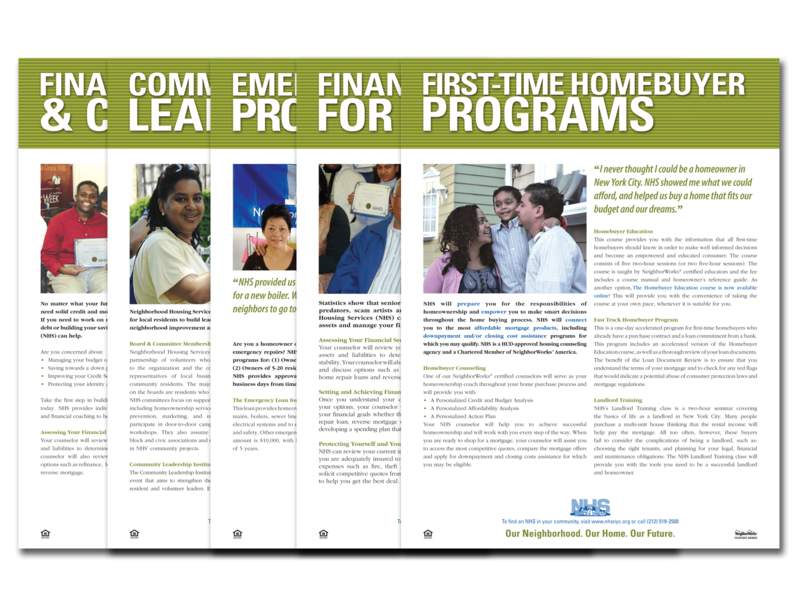 We worked with NHSNYC to develop a number of double-sided, full-colour, fact sheets to identify core program areas the organization is involved with and presented the final set as an integrated design solution. The fact sheets were bundled into an MKCREATIVE-designed 2-pocket folder with business card and supported by a robust media and information kit. 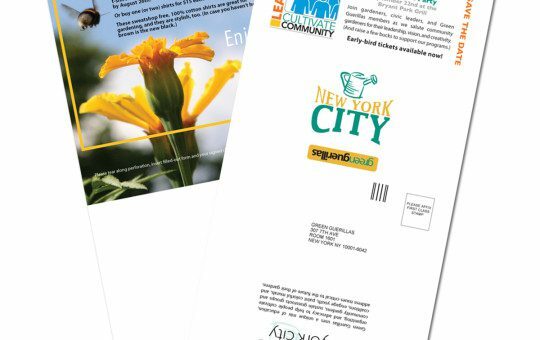 The program sheets were such a success that NHSNYC asked us to rethink the branding for these programs so that all communications material (letterhead, business cards, two-pocket folders, annual report, website, etc.) would reflect this strategically-integrated design approach.